High-school students from across Delaware won top honors in three national Career and Technical Student Organization (CTSO) competitions this summer, demonstrating their dedication, leadership and skill in pursuit of future technical careers. More than 320 students and advisors from throughout the state attended national conferences in Louisville, Dallas, and Anaheim last month. Thirty-seven student competitors and 18 school teams from Delaware earned Top 10 honors at these events. 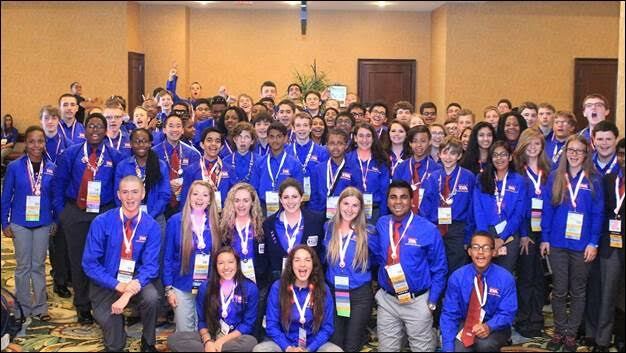 At the 2015 Technology Student Association (TSA) Conference in Dallas, Texas, nearly 100 Delaware students participated in 61 competitive events, such as engineering, video game design, robotics, rocketry and more. TSA is a Career and Technical Student Organization (CTSO) dedicated to students interested in the future of invention, innovation, engineering and technology.